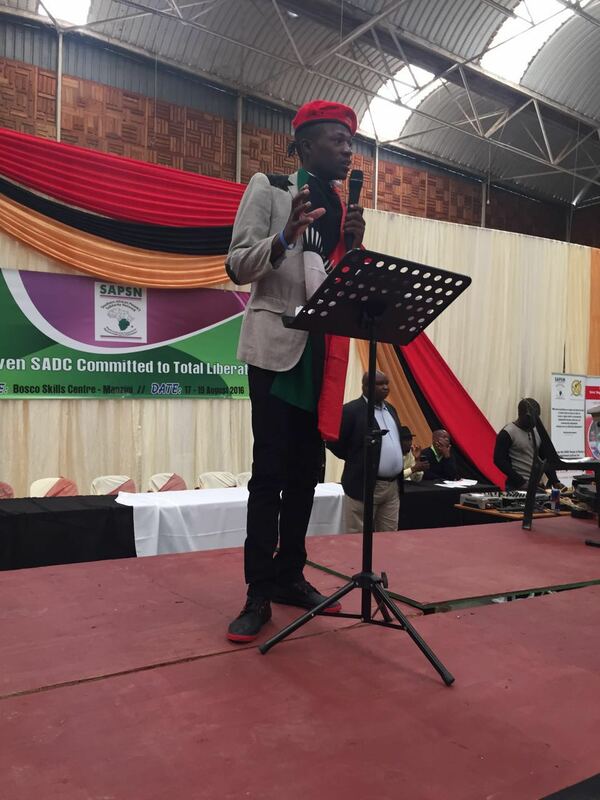 CRIDOC Director, who is also a youth activist and national Coordinator of the Youth Act Alliance – Malawi Chapter, Edward Phiri, makes a solidarity speech on behalf of Malawi delegation in Manzini, Swaziland. His speech centered on ending child marriages in accordance with SADC model law, youth employment and empowerment based on African Youth Charter and African Union Youth Decade Plan of Action including tax justice. He further called on the Peoples Summit to ensure that issues of youth and children are prominently featured in the communique as a sub-theme, and ensure that the summit also develops road map for easy follow up of issues other than coming with new issues, as the 2015 issues remains unsolved. The youth representative was invited to be a panelist at ZIMRIGHTS break away session on governance.